If you appreciate the luxurious and distinctive look of natural stone, travertine should be on your list of options to consider. Travertine is a natural sedimentary stone related to marble and limestone. 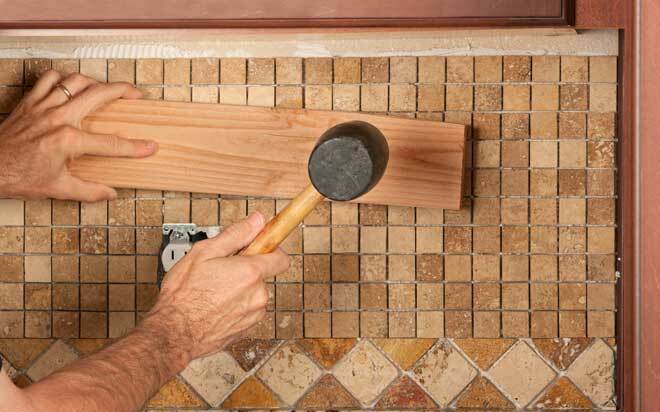 Most often used for flooring and paving, this stone also works well for countertops, backsplashes, and shower walls. Although an excellent choice for creating an air of casual elegance, travertine also has some disadvantages in terms of maintenance. One of the biggest advantages of using travertine for flooring is the diversity of color schemes and designs it allows. 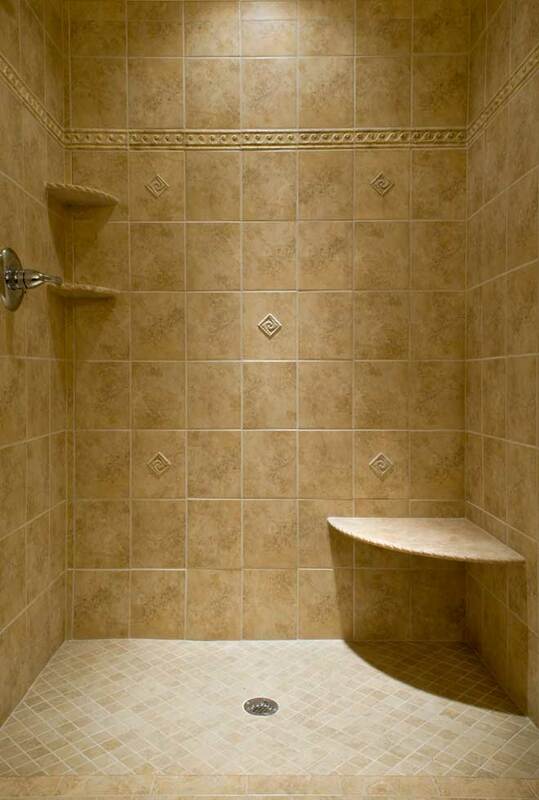 Travertine is available in a rich variety of colors, ranging from ivory and beige to gold and deep reddish-brown. The stone’s subtle color blends and natural veining make it easy to create one-of-a-kind patterns and design exactly the look you want. You can choose from four different finishes: matte honed, tumbled, brushed, and polished. The most popular choice, the honed finish, is smooth yet still natural looking. The rougher brushed and tumbled finishes provide textural interest. Polished travertine resembles marble and its glossy shine fits perfectly in contemporary decor schemes. 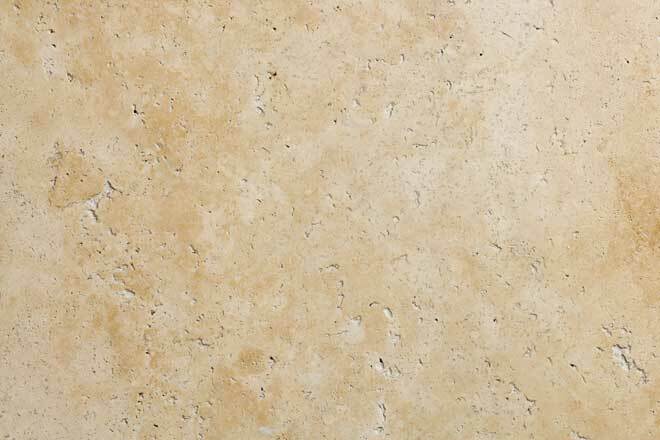 Travertine is difficult to keep shiny, but its natural matte state offers a beauty all its own. The weathered, antiqued look of brushed and tumbled travertine lends a relaxed yet upscale warmth to any decor scheme. These finishes work especially well in rustic designs. Better yet, if the floor is carefully maintained, the stone’s appearance will change little with time. Because travertine tiles are available in a full range of sizes, you can use large slabs for a clean, seamless look in large spaces, mosaic tiles for colorful designs or anything in between. If one of your travertine tiles becomes damaged or stained, you won’t have much trouble finding a tile of a similar appearance to install as a replacement. With porcelain tiles, finding a tile that fits in is more of a challenge. The natural holes, pits, and troughs in travertine are susceptible to wear, especially where there’s heavy foot traffic. Even small holes tend to enlarge over time. Regularly filling these holes is part of the standard maintenance travertine floor require. Another downside is that travertine, like other types of limestone, is relatively brittle and therefore liable to chip or crack. Cost is one drawback of using travertine for a large area of flooring. Like many natural stone tiles, travertine is more expensive than porcelain, which is man-made. Higher-quality travertine requires less filler material (typically concrete) to look attractive, which further raises its value and price. Installation requirements also add to the cost. Because stone tiles need a firmer subfloor than porcelain tiles, your floor may require some modification before the tile can be laid. The next consideration is the thinset, the adhesive used to attach the tile. Travertine typically requires modified thinset, which is enhanced with latex or polymers and is therefore more expensive. Using travertine lets you create striking countertops and backsplashes that fit your exact preferences. Maintenance, however, will take some effort. Travertine is highly porous, so it quickly absorbs any liquids on its surface. Spilling a little juice or wine can cause a permanent stain. Sealant improves the stone’s stain-resistances, but you’ll need to reapply the sealant regularly and even then it’s not a fail-safe solution. The most reliable way to keep the stone stain-free is to wipe up any spills as quickly as possible. Travertine reacts to acidic substances. This puts it at risk for etching, which shows up as dull white blotches. Even common liquids such as orange juice and vinegar can cause etch marks. These marks are especially difficult to remove from honed and other matte finishes. Travertine is softer than many other stones and porcelain, yet it’s also strong and less likely to break. This combination makes travertine comparatively easy to cut, which reduces the labor and time involved in the installation job. It also means travertine tiles can be easily shaped to fit the small or oddly shaped spaces common in and around showers and tubs. This helps you achieve a seamless finish in these areas. Travertine holds up to dramatic temperature fluctuations without cracking or shifting, making it well suited to use outdoors. Even in hot temperatures, the tiles remain cool, so they’re never unpleasant to walk on. This feature, combined with the exceptionally good traction of unpolished travertine, is why the stone is so popular for poolside use. Travertine is ideal if you’re looking for a natural stone that lets you give your creativity free reign. It’s perfect for quickly creating a look of timeworn grandeur, but it works just as well for inspiring a sense of rustic coziness. On the other hand, it’s not the best choice if you have pets or young children because repeated accidents will quickly take their toll on this stone. If you’re looking for a low-maintenance tile, travertine is best avoided. This stone requires regular care to stay looking its best.